The 2016 Toyota RAV4 received a minor refresh from previous years, continuing its presence as a popular small SUV. With more space than some of its competitors and Toyota’s legendary reliability, it will get the attention of many car buyers looking for a vehicle with the ability to carry people or cargo with ease. Major World is the place to get one! The 2016 RAV4 is powered by a standard inline 4-cylinder engine developing 176 horsepower. The standard 6-speed automatic transmission sends power to the front wheel drive system, with all-wheel drive available. EPA-estimated mileage ratings are 23 mpg city and 30 mpg highway. Trim levels include LE, XLE, SE, and Limited. There is also a hybrid trim available. The exterior standard features include rear bumper protection, running boards, door edge guards, roof rail cross bars, and mudguards. 17-inch steel wheels are on the base trim, with 18-inch alloy wheels available on higher trims. All trims offer headlight off delay, daytime running lamps, fog lamps and integrated turn signals in outside mirrors (except LE), and 4-wheel disc brakes. Choose the Limited for options such as LED headlights with auto on/off, blind spot and lane departure warning, and Toyota Safety Sense™. Inside the 2016 RAV4 is a comfortable cabin. Some reviews prefer the more bolstered seats offered in higher trims. Standard features include cruise control (adaptive cruise available on Limited), electric power steering, rear-view camera, tilt/telescoping steering column, audio and cruise controls on steering wheel, and air conditioning (LE) or climate control (other trims). The Limited also offers keyless ignition, front and rear parking sensors, and an auto-dimming inside mirror. Front-seat adjustments are manual except on the SE and Limited which have powered seats. The SE and Limited also offer leatherette seating materials, multi-level seat heating, and lumbar adjustment on the driver’s seat. Audio is supplied by a 6-speaker system with USB and auxiliary inputs. Satellite radio with traffic is available on some trims. Total cargo space exceeds 72 cubic feet, allowing you plenty of space to carry your stuff, or put the seats up and carry five people. 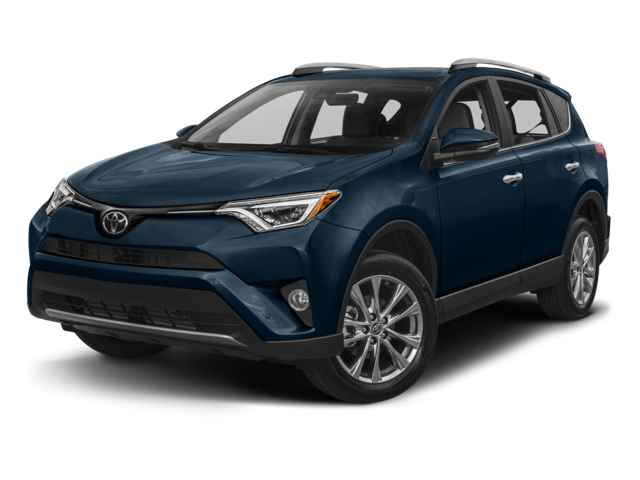 The 2016 Toyota RAV4 is perhaps the perfect balance of performance, capability, and space. The perfect place to get one is Major World. When buying new cars at dealerships you can spend $5-7,000 more than you need to, and you lose a lot of that value the moment the car leaves the lot. Instead of buying new, come to Major World and purchase one of our almost-new vehicles. Visit our dealership today, spend thousands less, and put that extra money in your pocket! Major World should be your first choice when it’s time to look for your next car. 0 comment(s) so far on Steal The Show This Season in The 2016 Toyota RAV4!